English Comedy Brussels is a stand-up comedy club which hosts English-speaking comedians from all around the international comedy circuit. The club hosts comedy nights every other Tuesday at The Black Sheep. It is now expanding its comedy nights to a second venue, the CaliClub in Drogenbos. 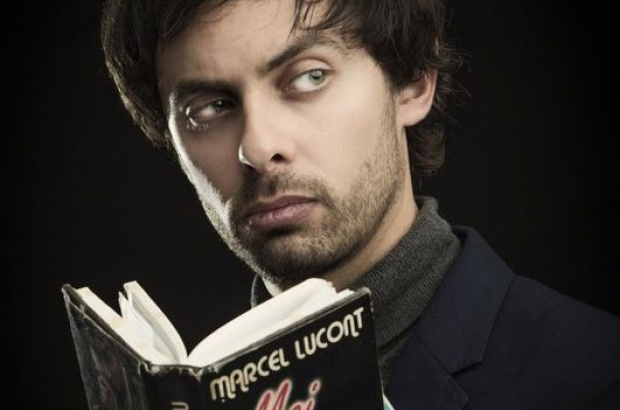 We spoke to Xavier Rossey, the organiser of English Comedy Brussels, to find out more. We started English Comedy Brussels in 2011, just like a one-off with a couple comedians passing the hat after the show, and it was successful. In 2014, we moved to the Black Sheep in Flagey. Now, we will be running shows at The Black Sheep once a month and at the CaliClub once a month. What made you want to start English Comedy Brussels? I didn’t want to, I knew nothing about comedy at all. I used to organise parties for expats, so I had the network. The idea came from a member of that expat group saying, “Why don’t you do something in comedy?” And that’s how it started. Just a one-off thing that built up. I had never seen stand-up in English live before organising one. What can people expect from these shows? Laughter, fun. It took me a couple years to know the audience and what kind of comedy that particular audience liked. Because the public in Brussels is very different than the ones in some comedy clubs in England, for example. It’s a much more educated crowd. I am quite picky when screening for comedians and now I’ve built a very nice network. Sometimes I get some requests from comedians who want to come to Brussels, but two years ago I could not even dream of getting them to come here. And now they ask me to come. First, I had a small pool of comedians. Then, one led to another. If one comedian likes to come to Brussels, they will talk about the show to friends in the comedy circuit and get them to come as well. Now, the Brussels show is one of the favourites of UK comedians in Europe. They really love to come to Brussels. They say it’s the best audience, the best venue, the best gig. What makes English Comedy Brussels special? What keeps people coming back? I think the format I have is different than you find in most comedy clubs in Europe. I prefer bringing two professional acts than one professional act and three filler acts. And people like the comedy club atmosphere. It’s something that I want to keep. I don’t want to put shows in bigger venues. It’s cosier than going to a theatre show and you can interact if you want to. I love how English comedy shows in Brussels have gotten better trough the years. The sheep is a great show and I really like the English shows in the Ritcs cafe too. No need to go to the London to get my comedy fix.